Fine Art Landscape Photography and Rockhound Adventures with Chris Sheppard of Wolfville, in the beautiful Annapolis Valley of Nova Scotia. 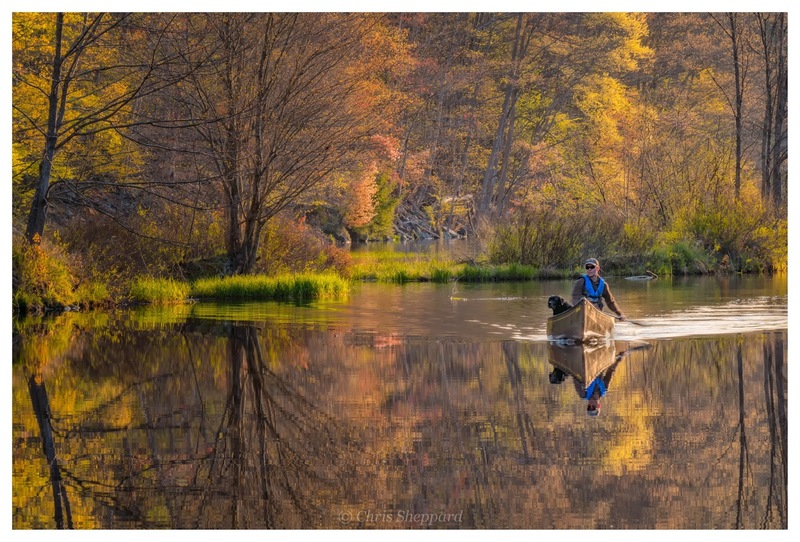 My Favorite Photographs of 2018! 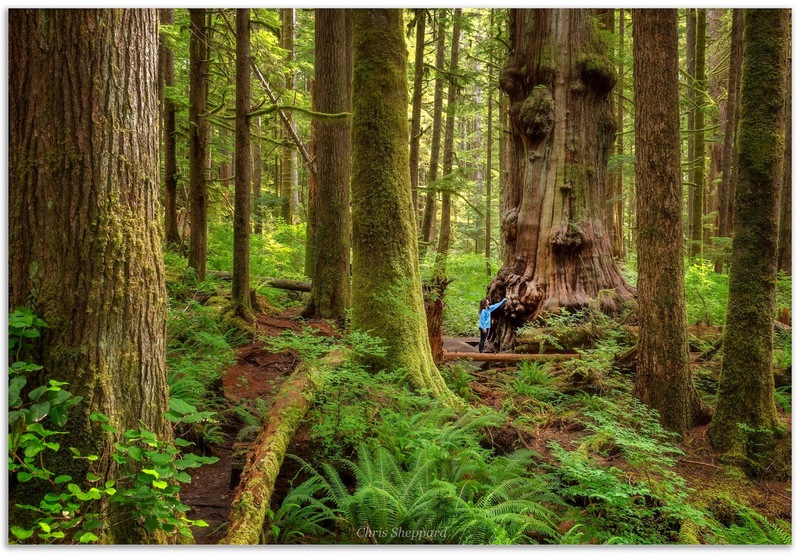 Each of these ten photographs tell a story about places that are meaningful to me. 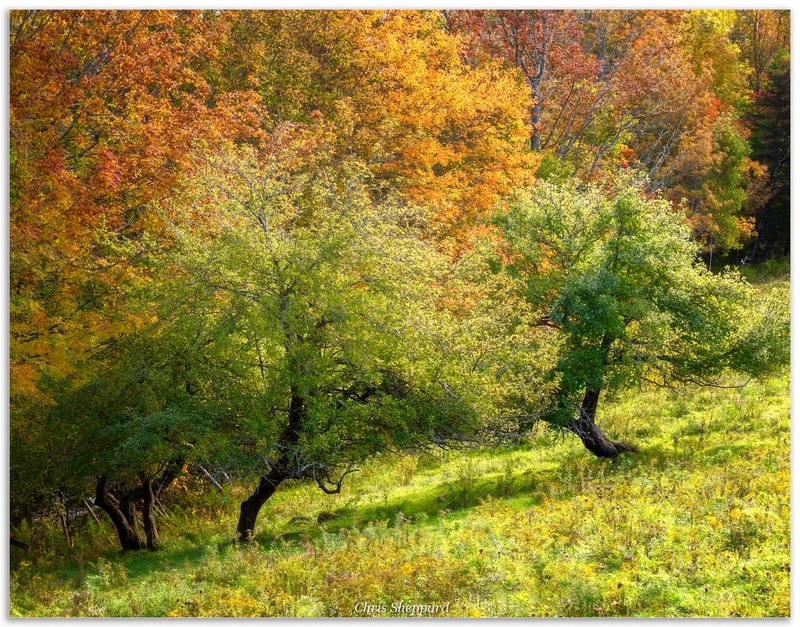 They come from near my home in the beautiful Annapolis Valley of Nova Scotia. Places I have intimate knowledge of in all seasons and weather. I'm grateful to each of you who took the time to share and comment on my work this past year. 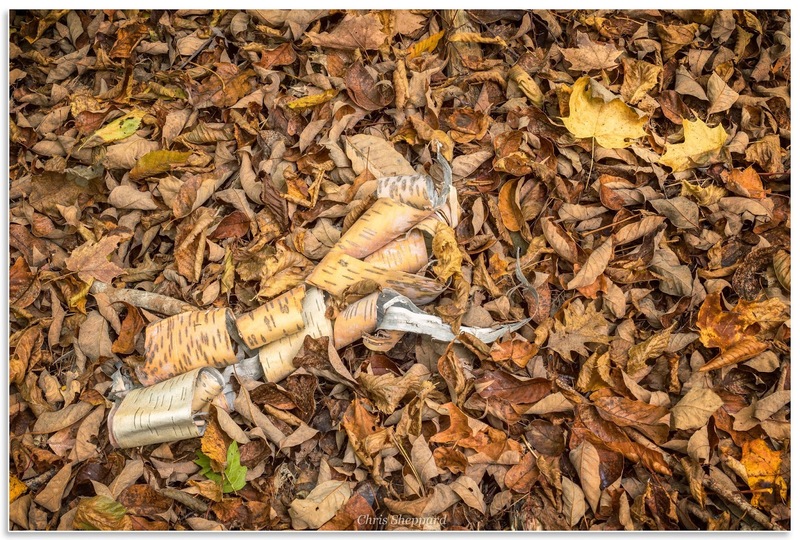 A roller coaster of a year that was glorious and difficult at times but I always had my photographic art to turn to when I needed it the most. With each photograph comes a short description of the work and my thoughts about the image as I remember each experience vividly. I hope you enjoy and have a wonderful New Year! 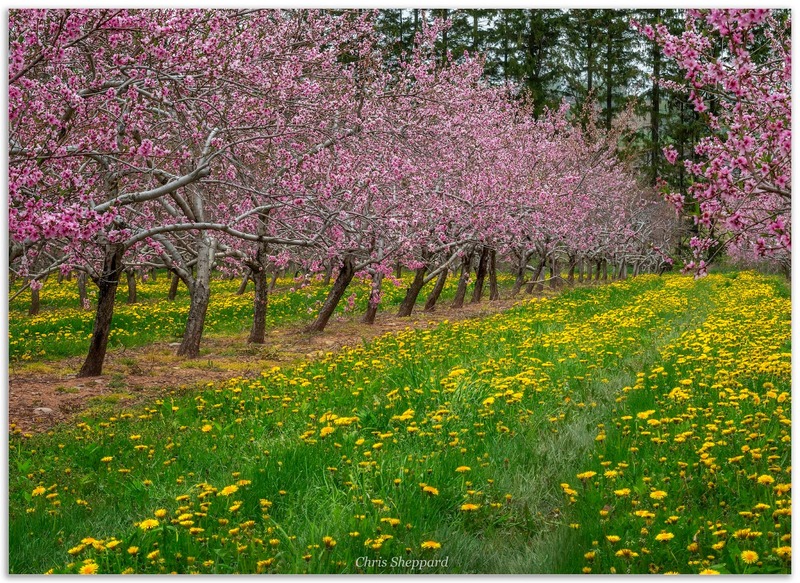 Greenwich Blossoms, Annapolis Valley, N.S. The vibrant colour of peach blossoms fill the orchard in the soft light between Spring showers. I drive by this scene nearly every day and have never had the time or conditions to make a photograph until this past year. This is the Annapolis Valley at blossom time! Absolutely beautiful. 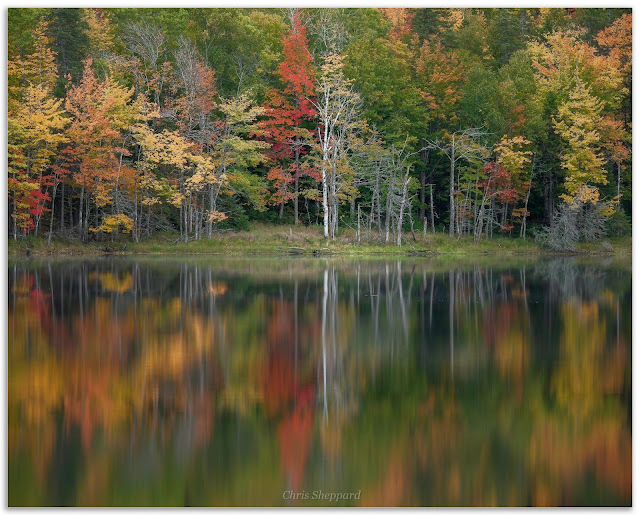 There is nothing better than a road trip Hants County in the fall with no particular destination, just to be inspired by the breathtaking beauty that can be found all over rural Nova Scotia. 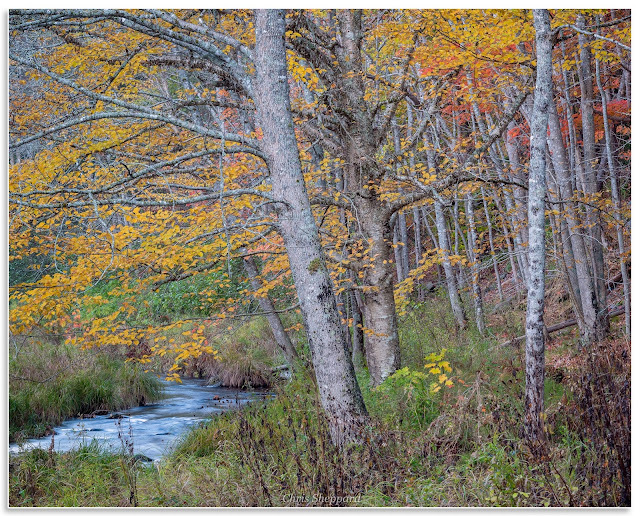 I collect images in my mind of scenes like this as I drive along. Sometimes I'm lucky enough to capture them in a photograph. March Snowfall, Memorial Chapel at Grand Pré Park, N.S. 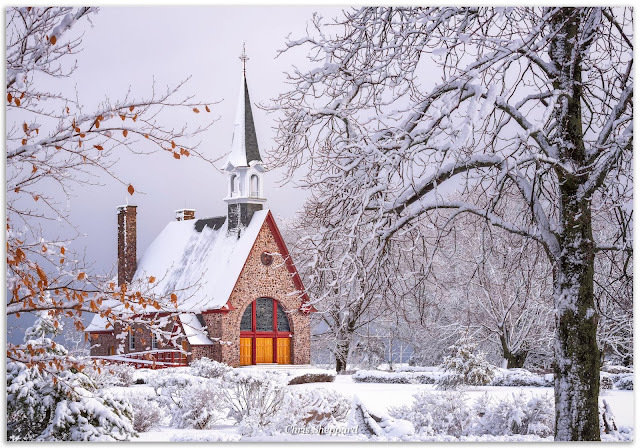 A peaceful walk through the Grand Pré National Historic Site as first light casts a glow on the Chapel and the morning is filled with the sound of snow melting away from the trees. Mosquito Point at Sunset, North Grand Pré, N.S. 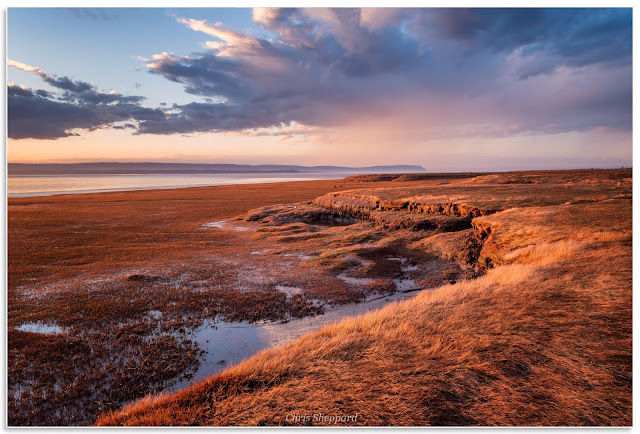 At the edge of the salt marsh near Mosquito Point as the setting sun paints the clouds with vivid colours over the Minas Basin. Seeing the outline of majestic Cape Blomidon in the distance will always make this feel like home. 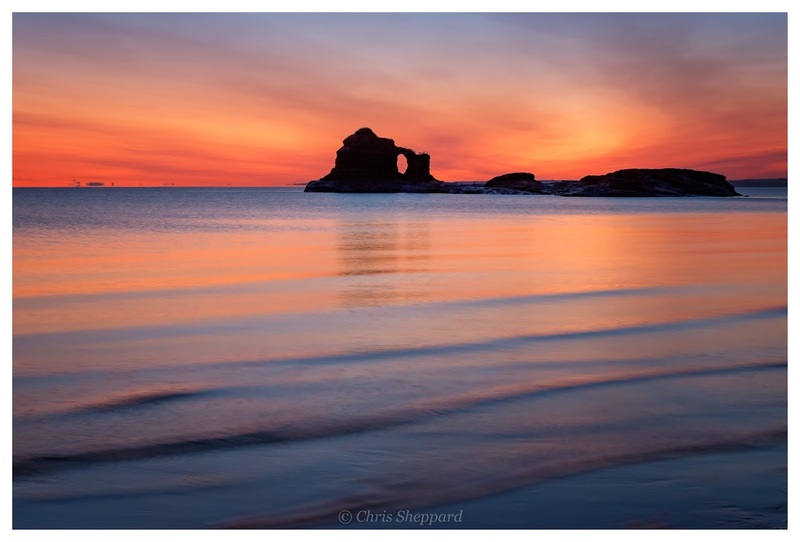 I grew up in North Grand Pré and as a child spent many hours exploring the beaches and marshes. On a technical note, I often use a long lens to capture my vision of a given scene. I love the graphic nature of this image. 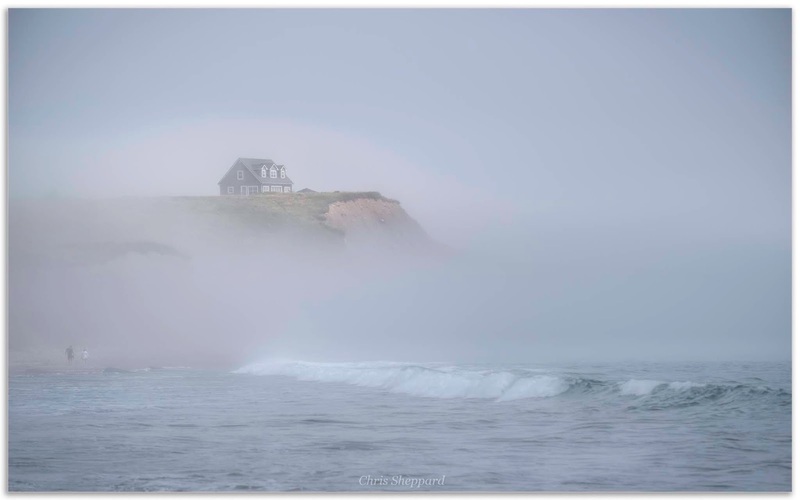 Foggy Afternoon, Hirtles Beach n Lunenburg, N.S. The sun breaks through the coastal fog revealing the drumlin cliffs and rolling surf at Hirtle's Beach near Lunenburg on the south shore of Nova Scotia. I had taken my kids to the beach on this hot summer day. Rarely would I get my camera out and work around so many people but I could not ignore the site of this house appearing and disappearing in the fog. 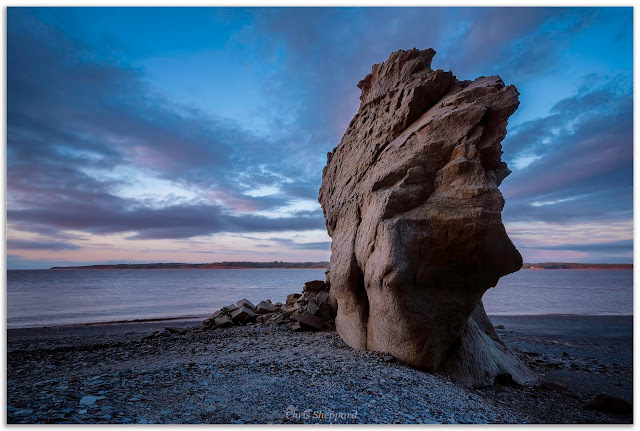 A sunset walk along the famous fossil beach on an outgoing tide took me through the mud to this ancient rock formation that looked incredible set against the sky at dusk over the Avon River. I stayed here in the breeze and watched the changing light. On this autumn morning I see Coyotes on the beach in the twilight and as the sun rises I hike the upper shoreline enjoying the breeze that sends the leaves raining down from above the sandstone cliffs to be washed away at the next high tide. November Moon over Paddy's Island, North Medford, N.S. The full moon rising is visible for a very brief time through a gap in the storm clouds over Paddy's Island at low tide. 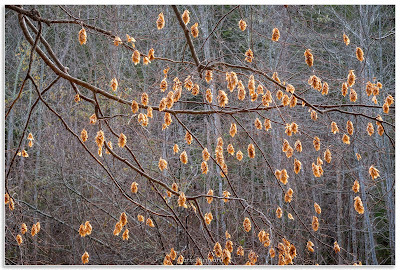 This photograph is a favorite because it marked a return to photography after a very trying time in the year when I had great difficulty even picking up my camera, let alone planning any adventures. I'm so glad I forced myself out on this cool evening to visit my local "go to" photography location. 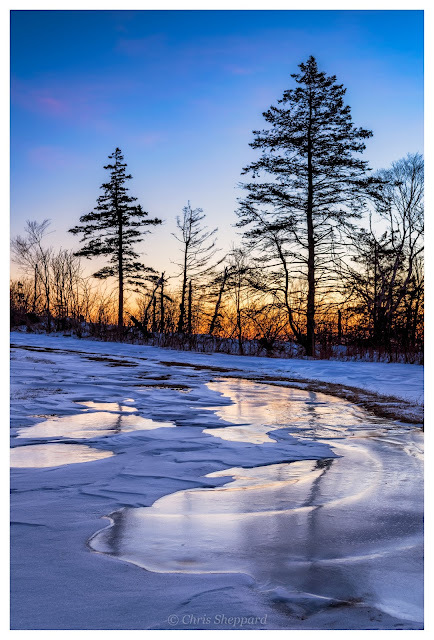 This photograph was taken in the stillness of first light at the Wolfville Watershed Nature Preserve on the South Mountain near Gaspereau. The simplicity and calm appeals greatly to me and the vivid colour is uplifting. Working at first light is my absolute preferred time of day. 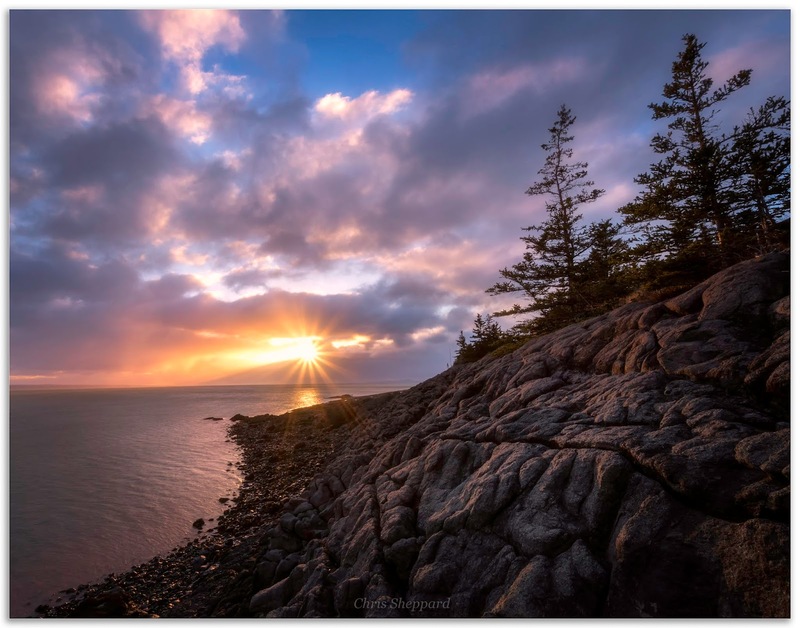 Sunset, Shoe Bridge Ledge, Scots Bay, N.S. 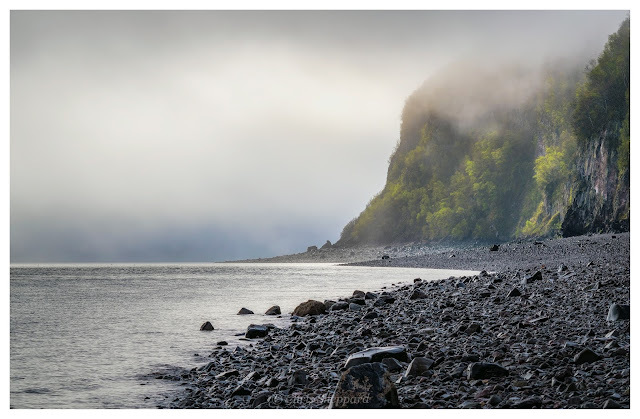 As sunset nears the wind picks up a light rain from the East and for a brief moment the sun bursts through the clouds filling the basalt ledge high above Scots Bay with warm and magical light. Window on Cape Blomidon, North Medford, N.S. Connection, Avatar Grove on Vancouver Island, B.C. 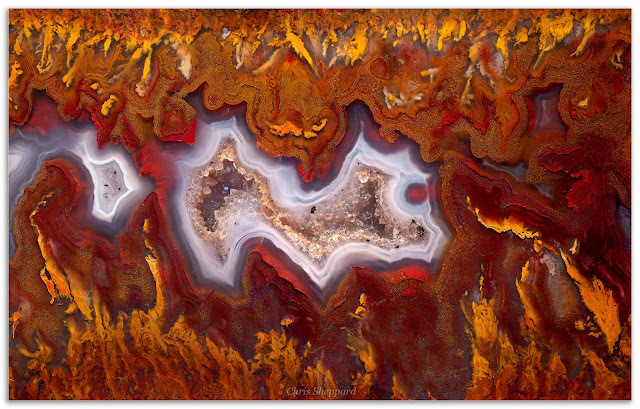 Golden Flame Agate Detail, Cape Split in Nova Scotia. 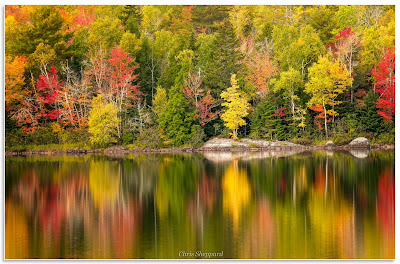 Gicleé prints of exceptional quality are done here in the Annapolis Valley and many sizes and framing options are possible. For beautiful portfolios, information on prints, equipment, licensing and more please visit the Chris Sheppard photography website below or email me at fundyrocksgroup@gmail.com. 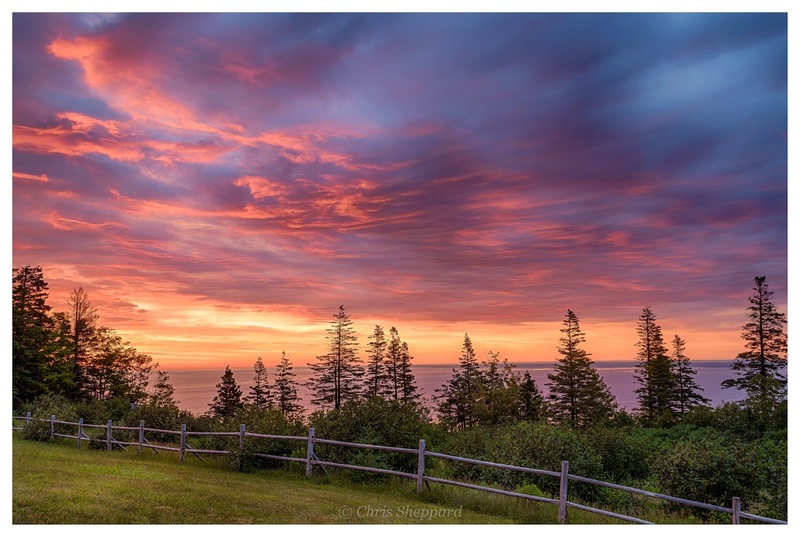 Each of the twelve photographs in this collection was taken within an hour of my home in the beautiful Annapolis Valley of Nova Scotia. They represent unforgettable moments when my vision and energy was focused on the ever changing light. Times when I felt very present and content with life. 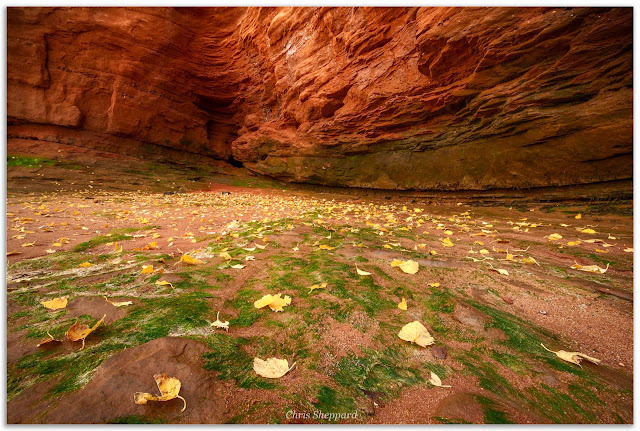 These photographs represent a heartfelt response to my favorite places. With each photograph comes a short description of the work and my thoughts about the image as I remember each capture with vivid clarity. I hope you enjoy and have a wonderful New Year! Please feel free to share this post. Your support is greatly appreciated. 1. Feb. 12th 2017. Snow Moon, Memorial Church at Grand Pré National Historic Site. 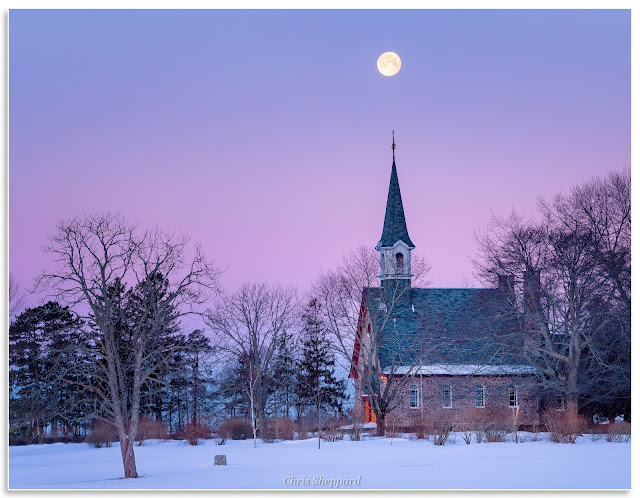 A calm before the storm as the "snow moon" sets over the Memorial Church Sunday morning surrounded by the glow of the Belt of Venus light shortly before sunrise at Grand Pré Park. 2. May 20th 2017. Meadow Sunset. 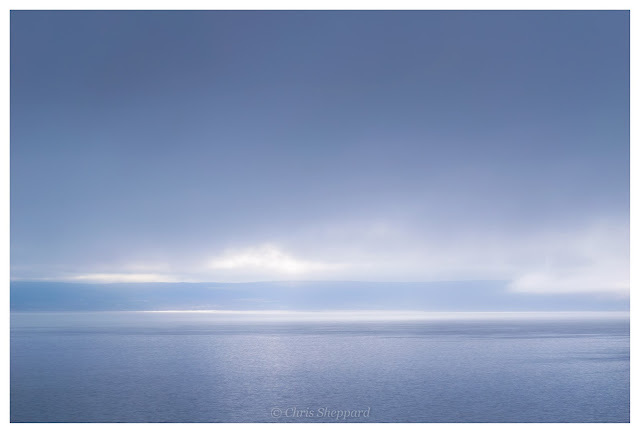 Cape Split, N.S. We watch as the sun descends over the Bay of Fundy, the warm light catching the Cape Split meadow over 200 feet above the rugged shoreline below. One of Nova Scotia's finest hikes! 3. Jan 02nd 2017. 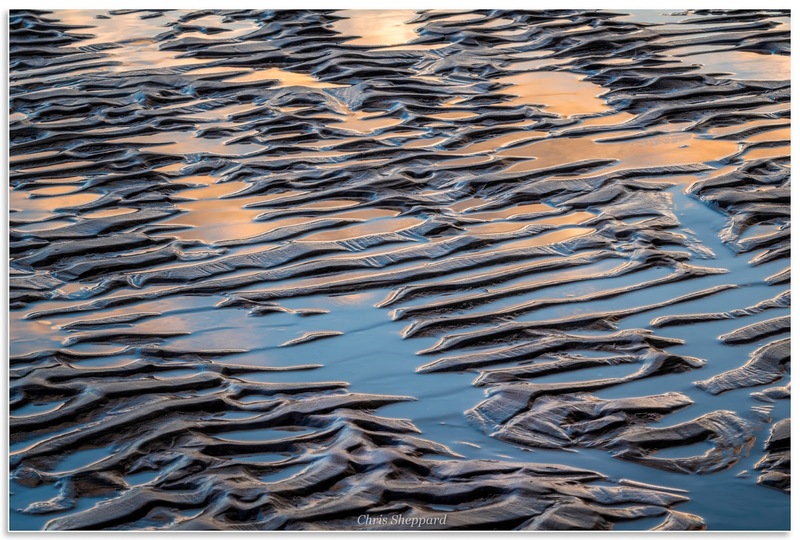 Sunrise Light and Ripples of Sand. Scot's Bay, N.S. Brilliant colours in the dawn sky are reflected in the pools between delicate ripples of sand at low tide near Ells Creek on the shore of Scots Bay. I love capturing intimate landscapes and finding compositions within the chaos of nature. 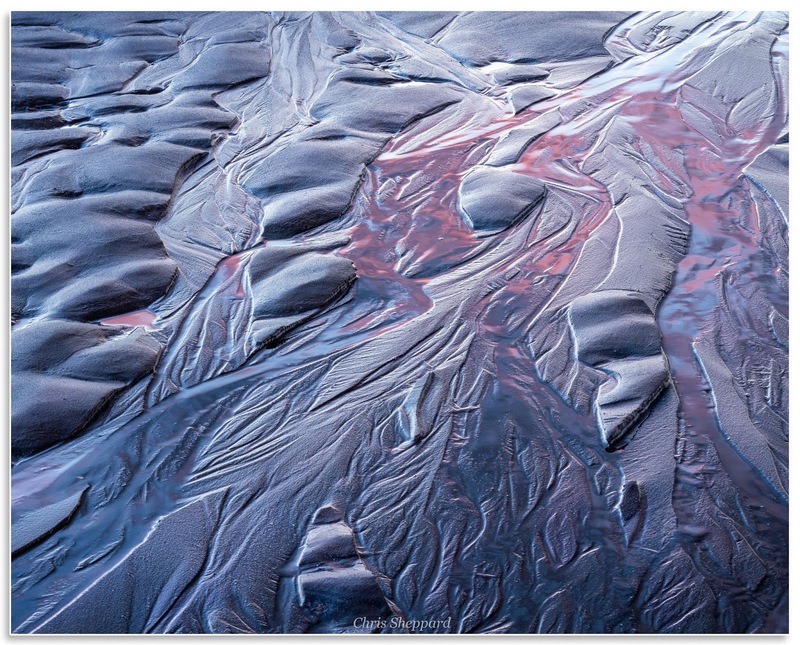 Sunrise Light and Ripples of Sand. 4. April 29th 2017. Clearing Storm, Mosquito Point in North Grand Pré. With Cape Blomidon in the distance, the setting sun paints the salt marsh in a brilliant golden light as rain and storm clouds pass over head. Just minutes before it had been raining too hard to take my camera out of the bag. In the beautiful Land of Evangeline. 5. Oct. 15th 2017. Pond Reflection and Dead Trees, Hants Co. N.S. 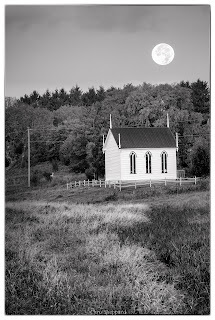 I found something very interesting and hauntingly beautiful about this place and waited patiently, praying for a slight break in the autumn breeze to make my photograph possible. 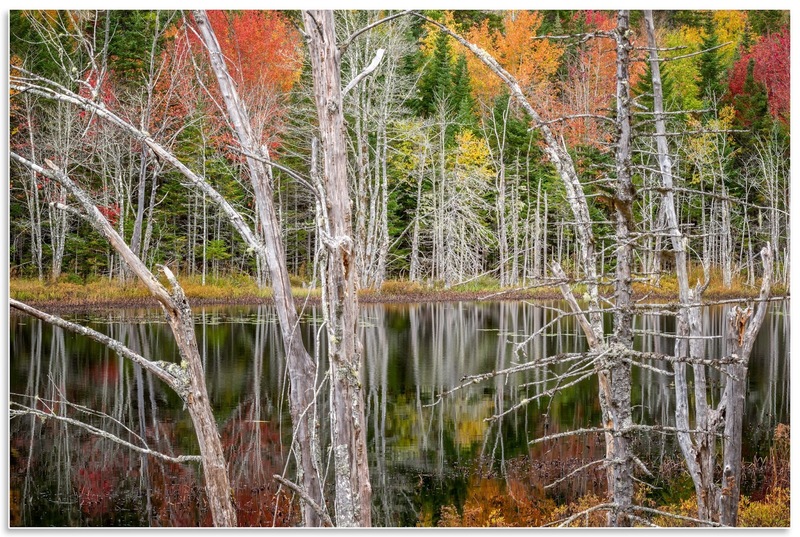 Pond Reflection and Dead Trees, Hants Co. N.S. 6. Aug. 27th 2017. Rainbow over Horton Landing. As the morning unfolds I hike along the salt marsh through beautiful light feeling the raindrops coming in from the West. 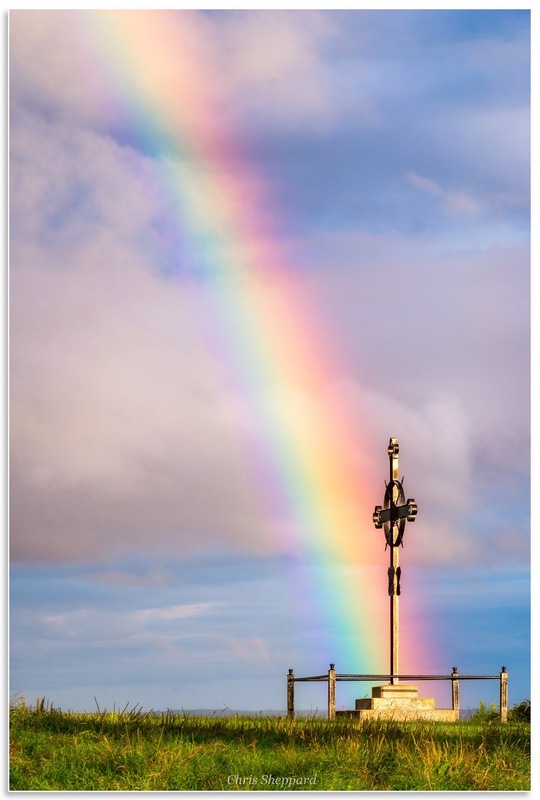 The sight of a vivid rainbow appearing over the Deportation Cross stopped me in my tracks. 7. Oct. 19th 2017. Glowing Trees at Dawn, Wolfville Watershed Nature Preserve. Just before sunrise a soft light gives the autumn trees a glow, part of the protected forest within the nature preserve. 8. Feb. o6th 2017. Dramatic Sunrise, Little Cove at Scots Bay. 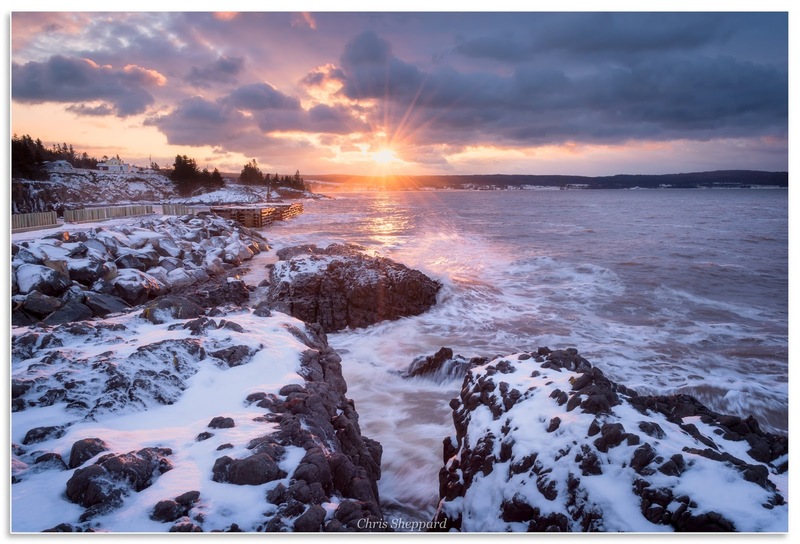 From the basalt ledge at Little Cove I watch as the sun fills the sky with dramatic light this morning. At the same time a feel the powerful surge of the incoming tide as it sends waves crashing in against the rugged shoreline. I love every minute of this and forget about my frozen hands and the bitter wind stinging my face. 9. July 03rd 2017. 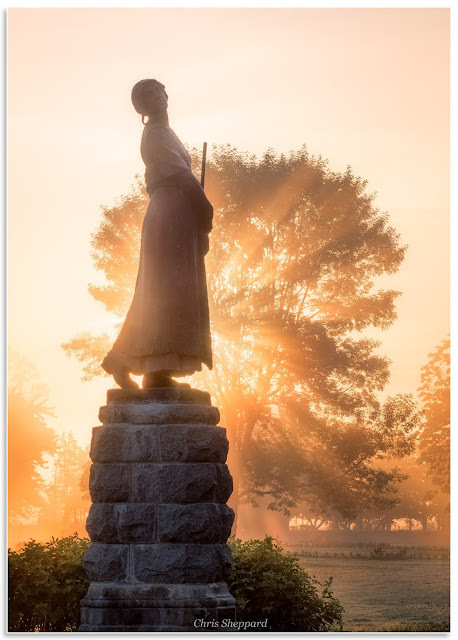 Evangeline Sunrise, Grand Pré National Historic Site. Evangeline is backlit in a warm glow as the sun breaks through the morning fog with great intensity. 10. Oct. 20th 2017. 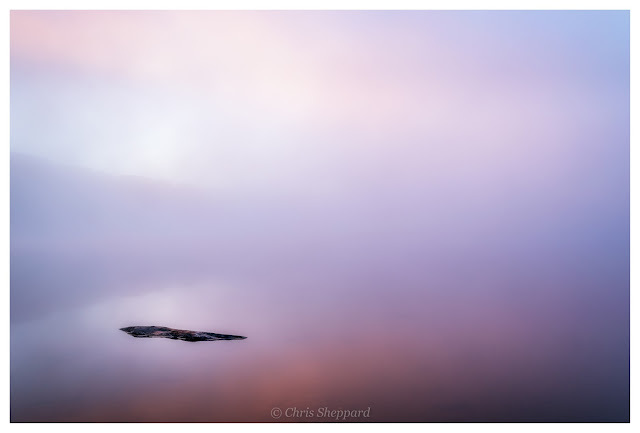 First Light, Gaspereau River. The perfect stillness of dawn along the Gaspereau River, my senses filled with the sounds, scents and colours of Autumn. 11. 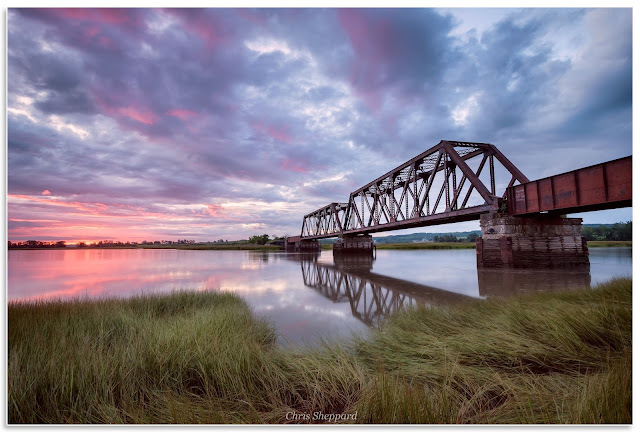 Before Sunrise, Derelict Train Bridge in Hortonville, N.S. For me the light is most compelling in the time leading up to sunrise as the shadows take form. I watch as the unsettled weather moves in transforming one of my favorite local scenes. 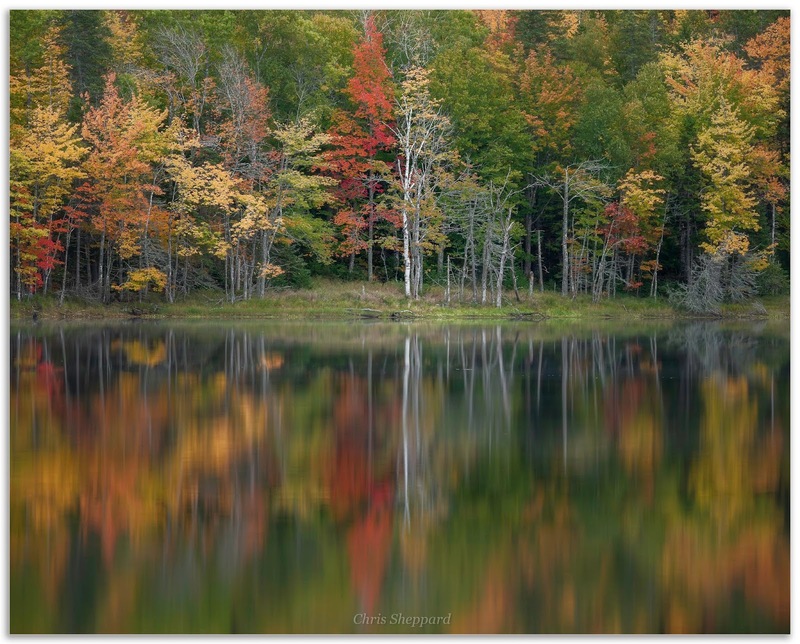 Painterly Reflection, Hants Co., N.S. 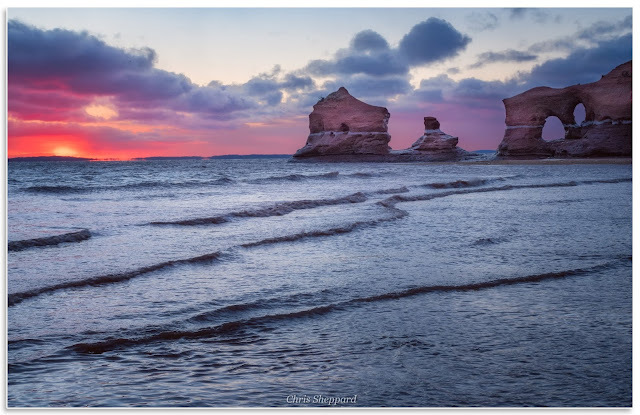 Annapolis Valley Light: Favorite Photographs of 2016! This collection of twelve fine art landscape photographs were all taken close to my home in the beautiful Annapolis Valley of Nova Scotia in 2016. They represent adventures and unforgettable moments that I have been privileged to experience and share with you. With each photograph comes a short description of the work and my thoughts about the image as I remember each capture with vivid clarity. From Feb. 21st 2016. Symphony of Light, North Medford. For a few glorious minutes the light over the Minas Basin at dawn created a scene of sublime beauty. One of those very rare moments when all of the natural elements seem to come together. I consider this a gift. Stunning and unforgettable. This is the reason I make landscape photographs! 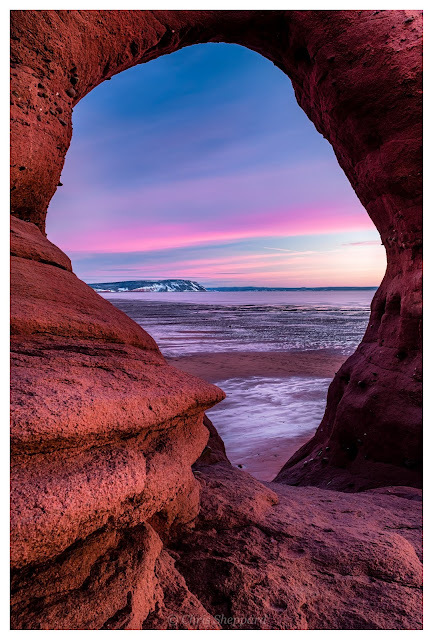 High on sandstone arch at North Medford catching the beautiful light at dawn, a perfect framing for a snow covered Cape Blomidon in the distance! This is a photograph I had visualized many times but was never able to capture until this moment. I love how sandstone seems to absorb the ambient light and glow with the subtle magentas of dawn. 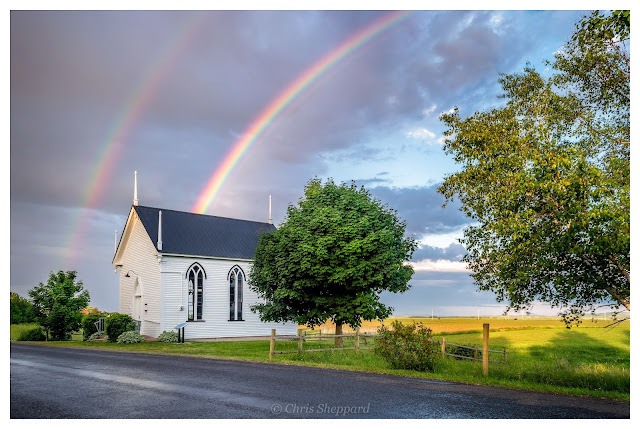 I found myself chasing rainbows under very dramatic skies last evening in North Grand Pré. Years ago as a child growing up here my family helped in the restoration of this beautiful landmark in the Land of Evangeline. This was one of those photographs where I had very little time to find my composition. Literally scrambling to set up my camera and tripod, my hands shaking with excitement as the powerful scene unfolded before my eyes. From Aug. 07th 2016. Daybreak, Derelict Train Bridge in Hortonville. The rising sun bursts through a gap in the clouds highlighting the wildflowers that cover the old rail bed. A few minutes earlier I had watched two raccoons come across the bridge and noisily pass me by as I stepped out of the way and into the thorns. 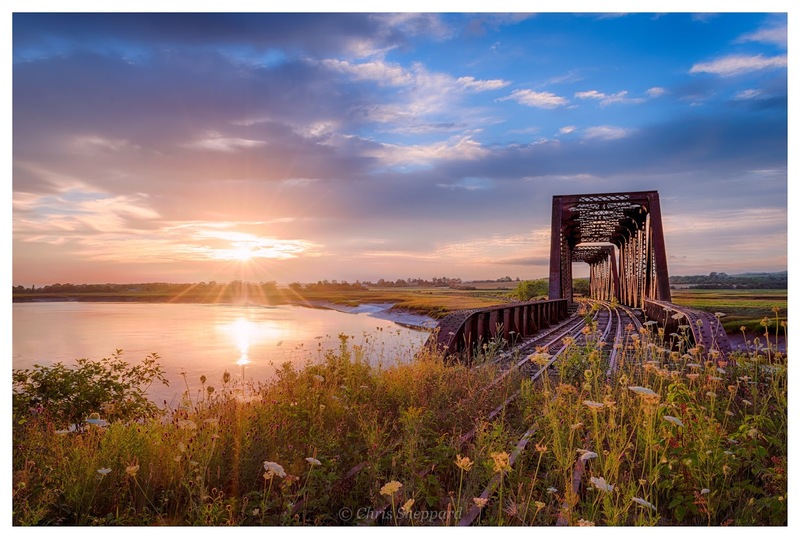 This is one of my favorite locations to make photographs and I have photographed this bridge many times before in every season and weather condition always finding something surprising and new. There is magical quality about the wildflowers glowing in the morning sun as they reclaim the derelict tracks. As the last remaining light fades away and the darkness settles over the shoreline at Little Split Cove I decided to try one last exposure to see if I could pick up any detail in the seascape. 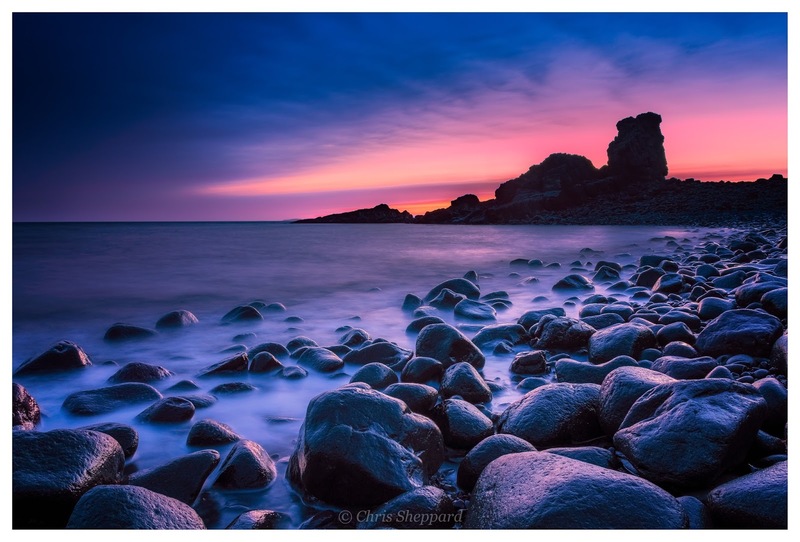 It is technically difficult to make good exposures in the very dim light especially when you are contending with an incoming tide and very slippery beach rocks. I was also struggling with the desire to get back on the trail for a long hike out the Cape Split Trail at night. Looking at my LCD playback I was surprised and thrilled to see the amount of vibrant colour that my camera's sensor was able to pick up in the dark. Colours that were not readily visible to the naked eye but there nonetheless. Astonishing, beautiful and well worth the discomfort. Minutes from my tent at Blomidon Provincial Park I stand at the edge of the meadow watching rapidly changing light fill the sky with spectacular colour over the Minas Basin. These are the moments when I can truly rejoice in the beauty we have here and nothing else seems to matter. 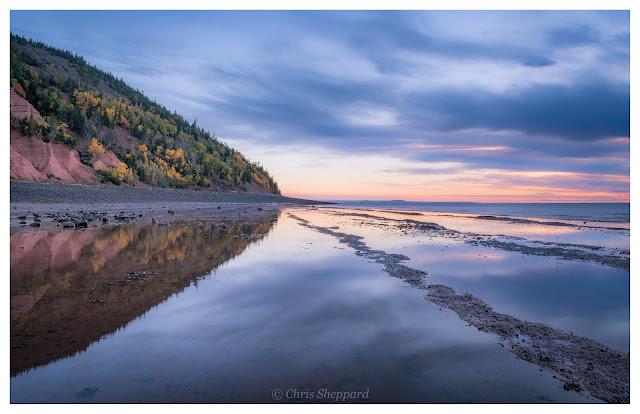 The calm leading up to sunrise at low tide on the shore of Cape Blomidon. 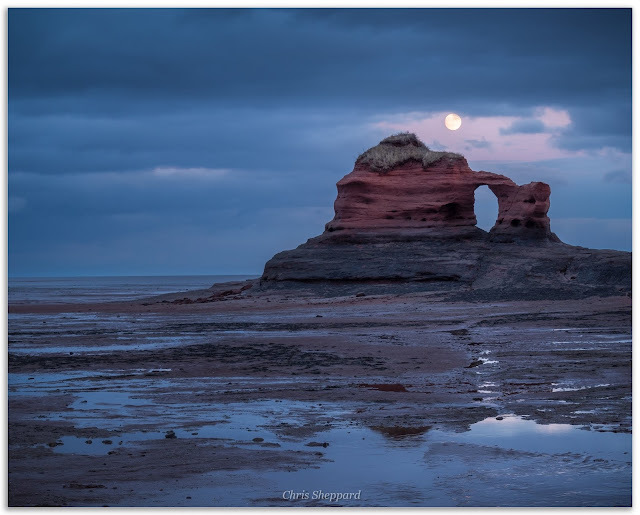 These giant pools steadily drain as the tide recedes and it seems as the sun comes up over the Minas Basin it typically brings the wind that disturbs any chance of capturing reflection. I had previsualized this image in the past and it took many attempts and a rare combination of elements falling into place to make it possible. 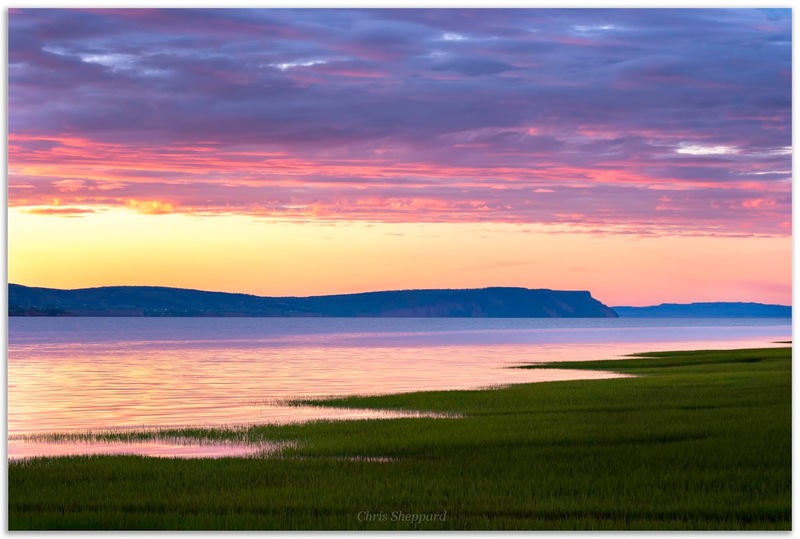 Reaching the Blomidon Park meadow well before the sun comes up over the Minas Basin, the deserted park illuminated in an unforgettable twilight glow. As the morning unfolds we snow shoe the sun filled Jodrey Trail. From Sept. 05th, 2016. Paddy's Island at Dawn, North Medford. The sandstone formation Paddy's Island silhouettes in the beautiful twilight of dawn. 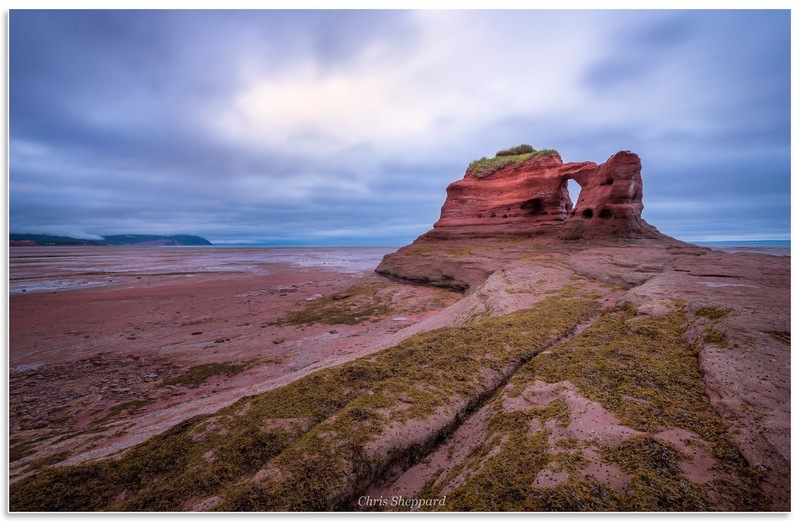 The tide moves very quickly here on the Minas Basin and I needed to wade into the water to set up my shot so I could capture the beautiful light from the sky reflected on the receding water's surface. Traditionally the Mi'kmaq considered this site a sacred and significant place of power where the spirit and physical worlds connected. 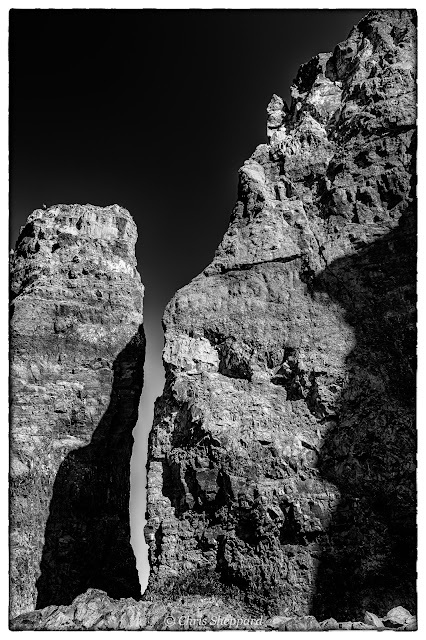 No other place I have visited here gives me the same feeling of awe as the sea stacks at the end of Cape Split. 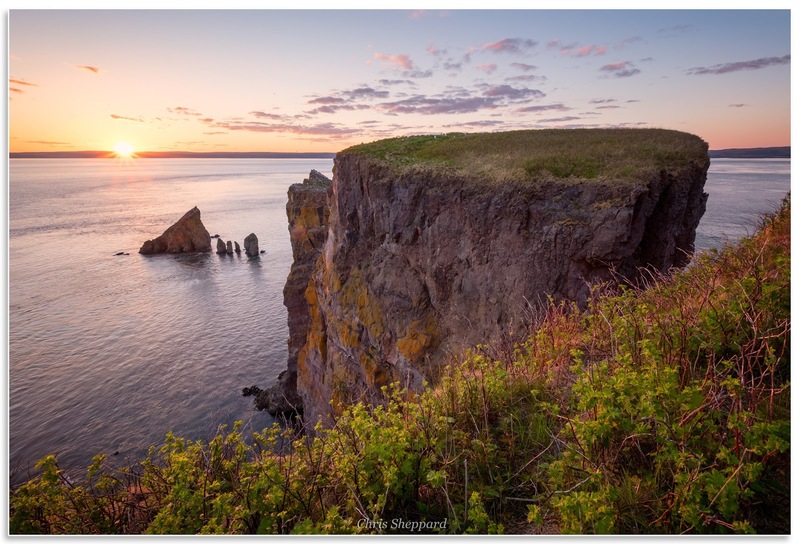 Combined with the last glow of twilight before darkness takes over, the sound of the tidal current and the gulls' cries echoing from the towering cliffs makes for an experience I will not forget. A study in photographic minimalism. Standing as still as possible in the shallows so as not to disturb the subtle reflections as the sun rises through an ethereal mist over Lumsden Pond. 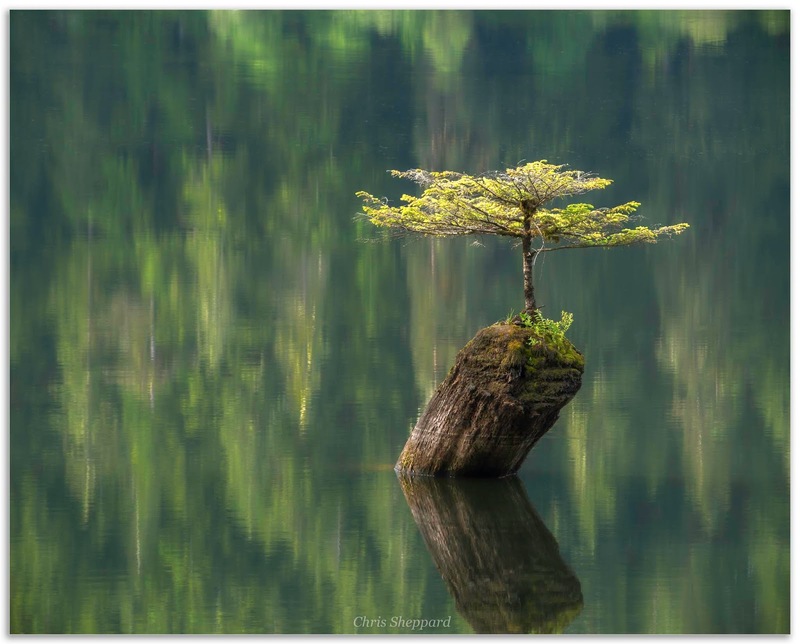 This is my Zen photography and every bit as peaceful as it looks. 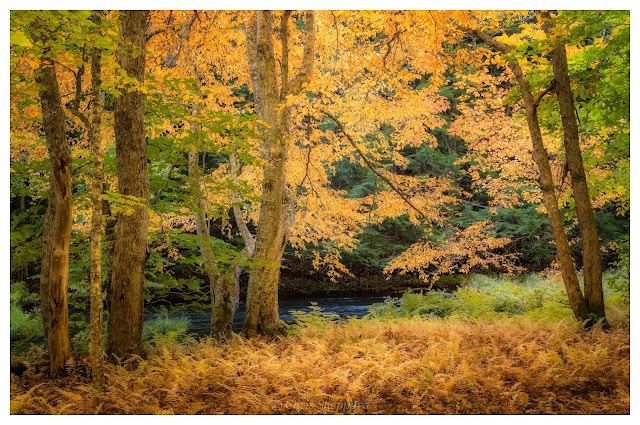 A clearing deep in the Gaspereau Ravine fills with the late morning light and the rich, golden hues of autumn come to life. I'm not sure for how long I sat here simply taking in the sunlight and the sounds of the river. 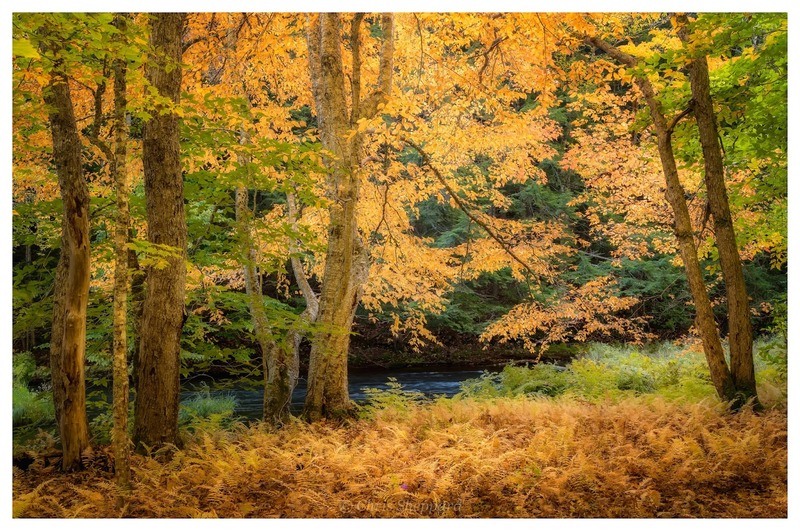 If you have not had a chance to hike the Gaspereau River Trail from White Rock autumn is perhaps the finest time of year to do so. 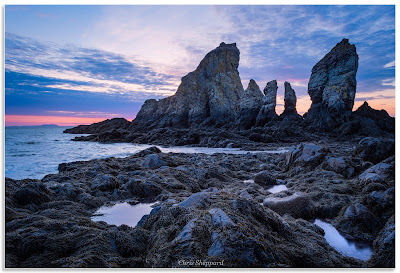 Thank you for letting me share these moments with you and please take a moment to share this blog or the Fundy Rocks Facebook page with your friends. I greatly appreciate the support and would love to hear from you! 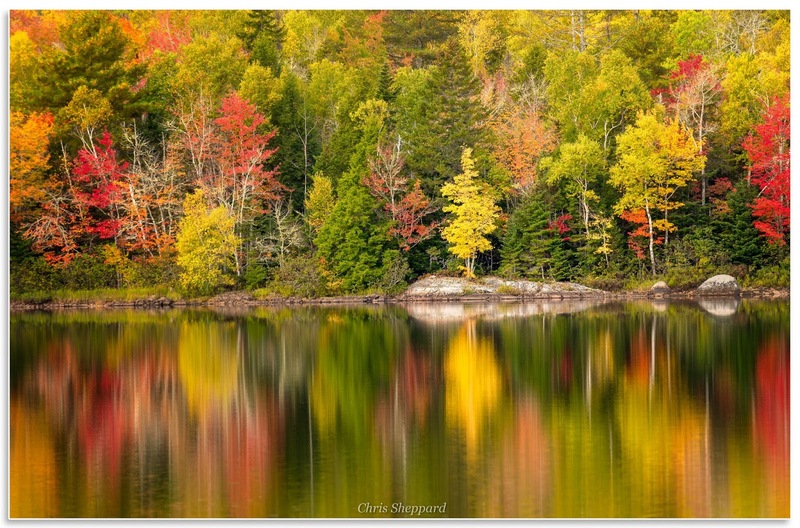 My name is Chris Sheppard and my passion is to make fine art photographs of the natural world. 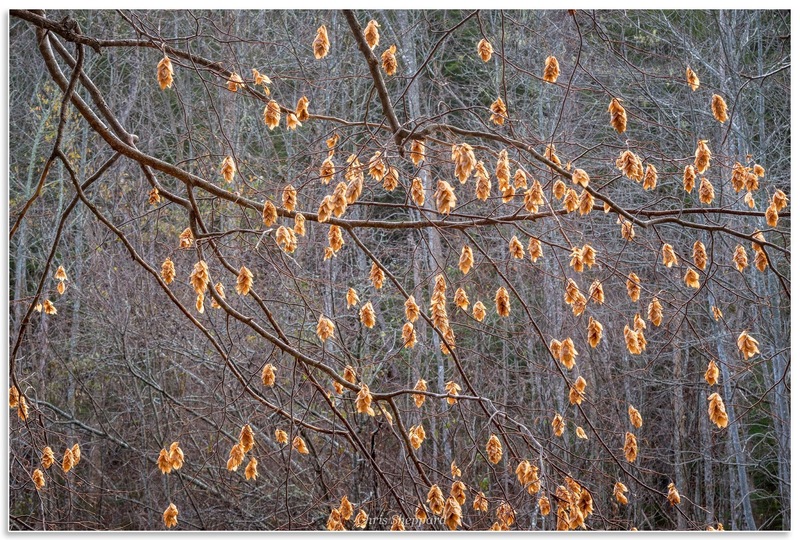 Particularly the incredible beauty I find here in the Annapolis Valley of Nova Scotia. 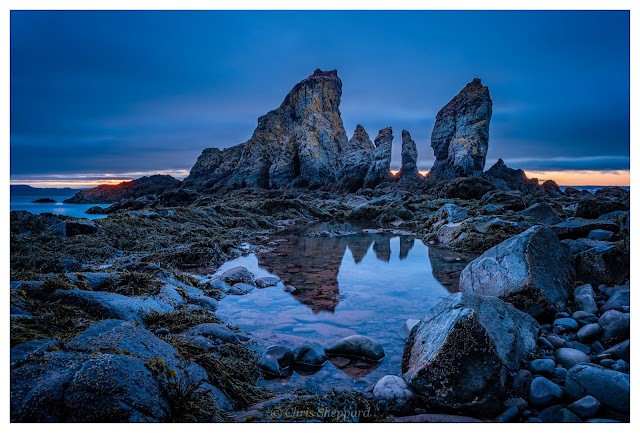 I am known for sharing local scenes under the name Fundy Rocks which evolved from years of rockhounding adventures that got me into serious photography in the first place. I am a self taught photographer and the most important thing I have taken thus far from my photographic journey is to learn from my many mistakes and never be afraid to try new ideas or push myself out of my comfort zone. This is where I believe creativity stems from. My goal is to share an image that reflects myself as an artist with an emotional message to give and creative vision to share. This process is time consuming and at times frustrating beyond belief. Overcoming the fear of the unknown. Hiking solo in the dark over difficult terrain in all weather and seasons trusting in my knowledge and experience of local tides and conditions. Not always having the best quality equipment for the job demands creativity. Sacrificing comfort and sleep to put myself in a location that might offer up a glimpse of the sublime if all of the elements come together as they did for many of the images above. 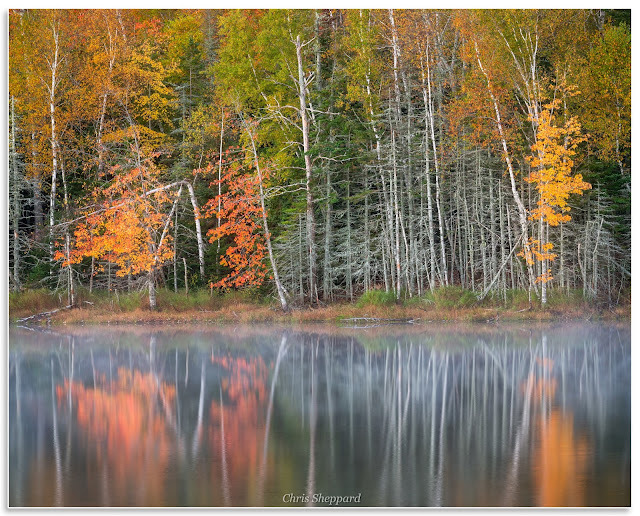 This has happened a few times each year in my photographic Journey and the rewards are incredible. With each of these photographs come memories that will last a lifetime. The potential to capture something special keeps me going and trying. We have updated our pricing formula for Fundy Rocks prints by Chris Sheppard. 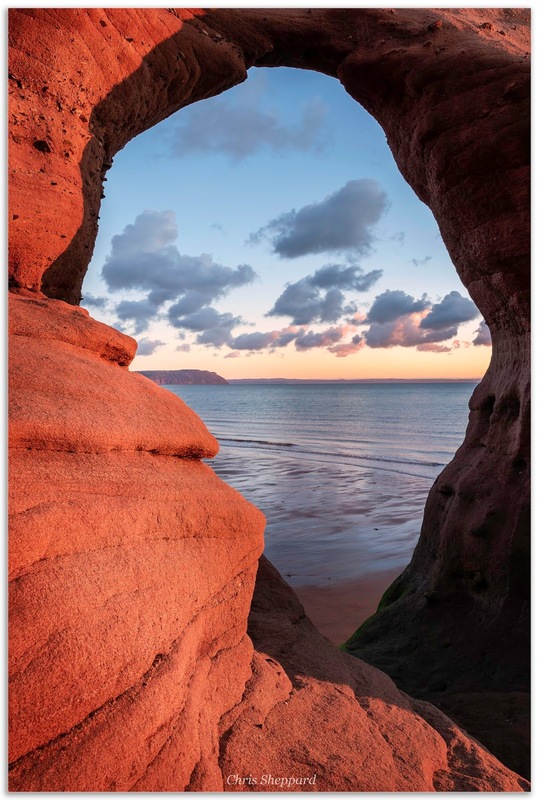 Giclée prints of exceptional quality are done here in the Annapolis Valley and many sizes and custom framing options are possible. 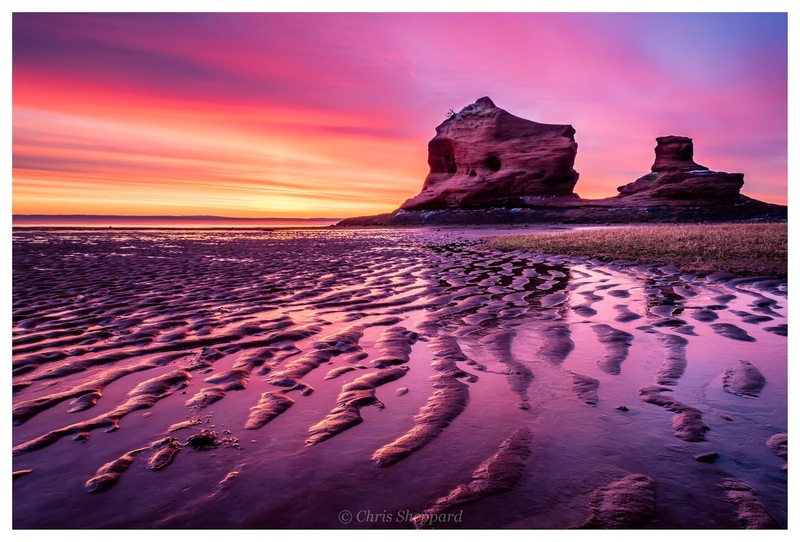 If you are interested in a print or joining Fundy Rocks on a future adventure or would like more information on rockhounding or my photography I'd love to hear from you too. I am considering organizing some photography adventures for the new year. Please email fundyrocksgroup@gmail.com for further info.